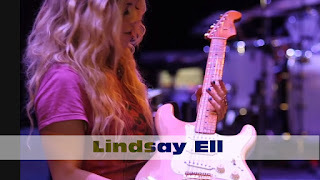 Lindsay Ell personally painted a guitar for each song on her 2017 album, The Project. Several of these guitars join her on tour and become a big part of her show. Betty Van Halen #1 is a Fender American Standard Strat that she uses each night on “Waiting On You,” Ell’s first single off The Project. All her guitars are strung with D’Addario EXL140 (.010–.052) or D’Addario NYXL (.010–.052). She plays with D’Addario Heavy (1.0 mm) picks. 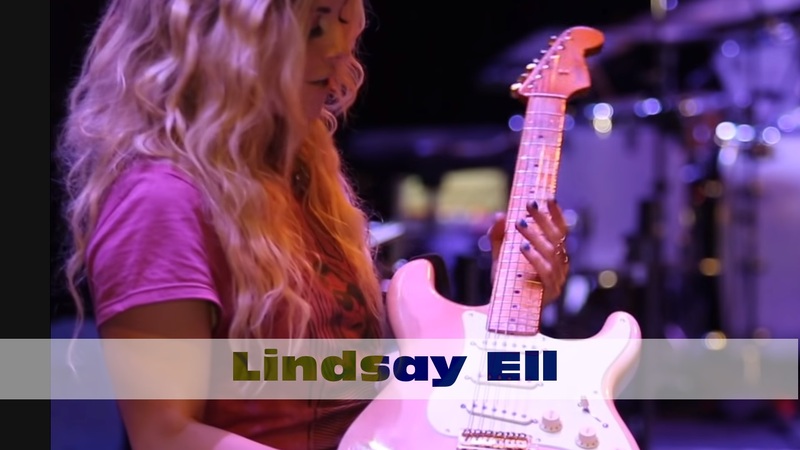 Lindsay Ell received this relic’d Strat as a gift from Brad Paisley after spending some time out on the road opening for him. Paisley asked her what her dream guitar would be and worked to create a replica of a ’57 “Mary Kay” Strat. Paisley contacted Fender to get all the period-correct parts and then assembled and relic’d the guitar himself. She named it “Herbert” since its color reminded her of sherbet.